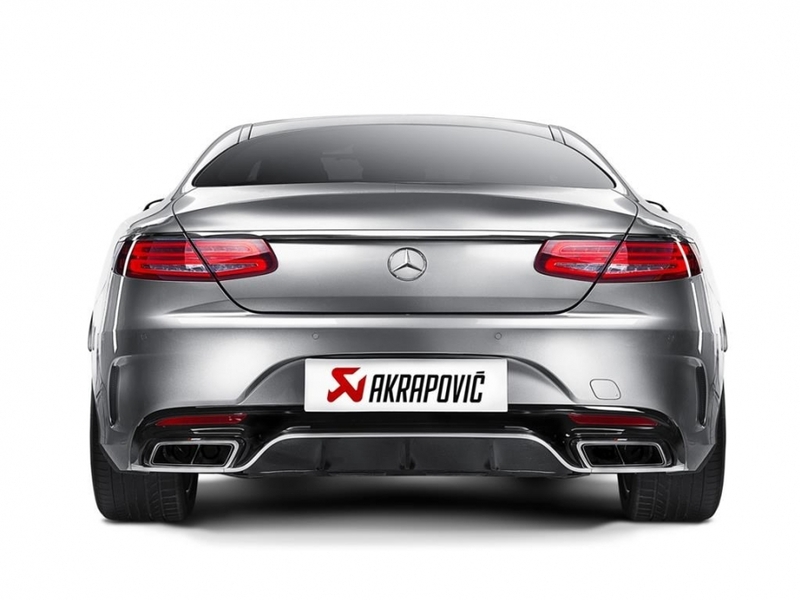 Akrapovič has unveiled its latest high-tech ultralight exhaust system, which has drawn upon all the skill and expertise of the Slovenian specialists to produce the lightest homologated (type-approved) exhaust system for the Mercedes-AMG S 63 AMG Coupé. 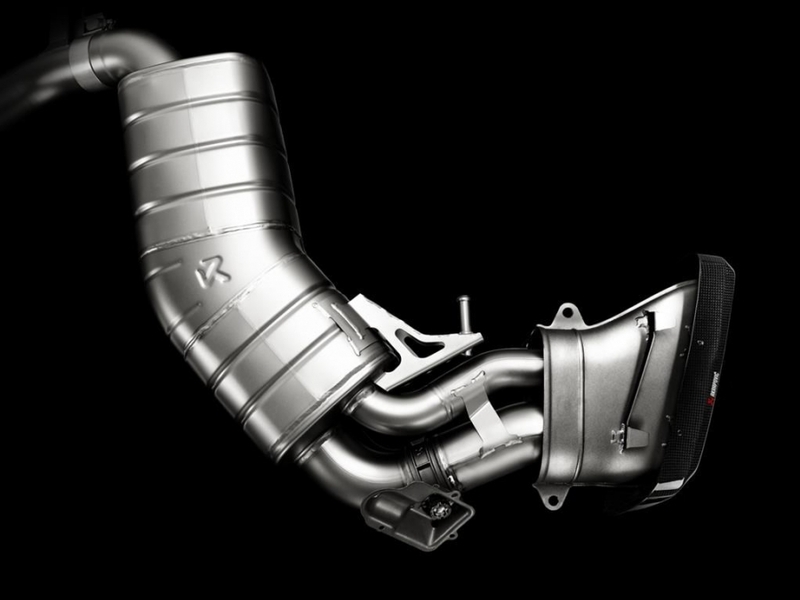 Revealed at the 66th International Motor Show (IAA Cars) in Frankfurt, Germany on Tuesday, September 15th, the Evolution Line (Titanium) exhaust system for this fantastic car is yet another example of why Akrapovič is the market leader and innovator in premium lightweight exhausts. The challenge that faced the Akrapovič team was to improve on an already impressive car and make one of the best even better. The designers and engineers relished this task and have produced a next-generation system that has reduced weight, created a multi-faceted sound profile, and improved performance. The Evolution Line is made entirely from the highest quality titanium, which has been perfectly formed by the expert knowledge that the Akrapovič technicians possess, and features parts cast at the company’s in-house foundry. 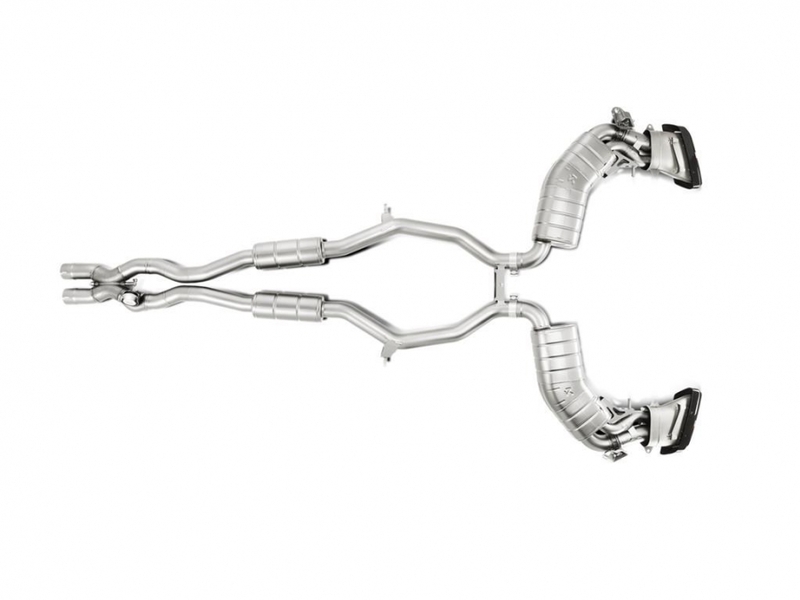 Absolute precision was required to create a revolutionary aspect of the exhaust, which is an active X-connection in the link pipes that allows exhaust gases to mix from both sides of the engine to create improved flow for better performance. The system has been created with durability in mind as well as performance and, with temperatures reaching 800 °C, special titanium alloys – which are 45% lighter than steel – have been used in this carefully constructed design. The use of such specialized materials enabled the Akrapovič engineers to create an exhaust that is almost 45% lighter than the stock system. The sound of the system was equally important, and the idea of creating two distinct sound characters was another of the team’s greatest challenges. The sound engineers refined the exhaust’s intensity to ensure that the S 63 AMG Coupé – with its cylinder firing sequence and unique sound – produces a rich, full, and pleasing tone from the eight-cylinder engine, alongside a second character that delivers a more pulsating and forcible roar that is more in tune with American muscle cars. By simply pushing the Akrapovič Sound Kit button, the driver can completely alter the sound of the S Coupé because the kit controls the active X-connection – used in an Akrapovič system for the first time ever – which features a guided and precisely machined valve flap that allows exhaust flow from both sides of the engine to meet and mix. With the valve flap open, the sound is fuller, more continuous, and resonant, as well as slightly higher in frequency, but when the valve flap is closed and the two exhaust flows from both sides of the engine are separated, the system produces the pure and strong sound of exhaust gas shockwaves from the AMG’s stunning V8. The Mercedes-AMG S 63 AMG Coupé is powered by a mighty V8 biturbo engine delivering 585 HP (430 kW) and, although the emphasis was on making an ultra-light system, the Akrapovič R&D department has also achieved a performance upgrade for the engine. By reducing the losses in gas flow, the engineers have increased the power output by an impressive 11.7 HP, with a continuous and higher torque curve also being achieved throughout the entire rev range. 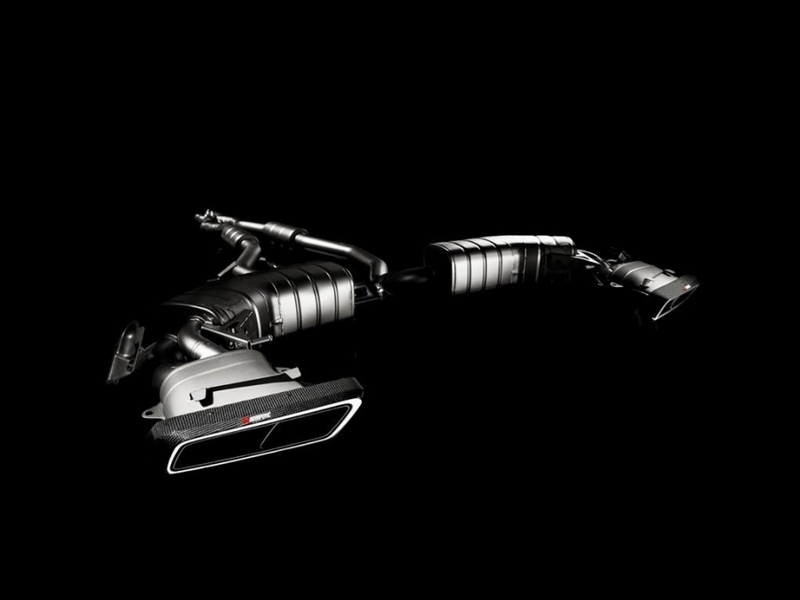 The latest, innovative Evolution Line system also marks the first time that a special technique of seamless integration between the titanium and carbon-fibre composites has been used to create a continuous finish for the system’s tailpipes. These set off the rear of the car perfectly and add a signature touch that displays the technical knowhow and expertise of Akrapovič to the full. The launch of this next-generation, ultra-light system is indicative of the technical revolutions that Akrapovič is producing in its ever-continuing quest to continue to create the best performance exhausts in the world.